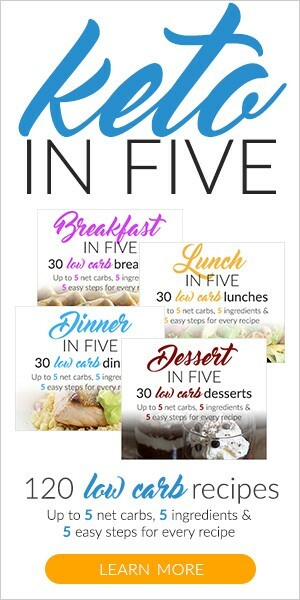 This week we bring you the 4th recipe in our series of 4 holiday Keto and Low Carb recipes. This week we present Sugar-Free Low Carb English Toffee. This is a simple recipe, but it does require a bit of patience but the end result is well worth the wait. This toffee would make a great gift for family or friends, or its a nice sweet treat for the holiday seasons. 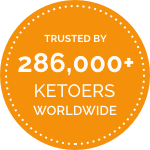 You do not have to feel deprived because you are doing keto–we certainly don’t! Lets talk about sugar free chocolate options. We live a in a pretty urban area and realize however that many of our readers or viewers on YouTube do not. We recommend Lily’s chocolate chips, they are made with stevia and sugar free they can be purchased in some grocery stores and of course on Amazon.com. We made a batch of this toffee using the Hershey’s Sugar Free chocolate chips. However, our issue with these are they are made with “maltitol” which is a sweetener that has been shown to make your body respond just like it was real sugar, we personally try and limit our intake of maltitol, and we could definitely taste a much higher sweetness level. Another option would be to use a bakers chocolate or even a sugar free candy bar, our first plan when making these was to use two of the Lily’s Milk Chocolate bars, unfortunately our local Whole Foods was out of them for some reason. Anyway, another option might be to leave the chocolate layer off completely. Anyway you go it will still be delicious. Here is a delicious sweet treat. Great for the holidays, or great anytime. Super simple to make, these would also make a great holiday gift for friends and family. Line a 8x 8 or 9x13 inch pan with foil. In a medium heavy-duty saucepan over medium heat, combine your sweetener and butter and stir until your sweetener is dissolved. Remove from burner and stir in your vanilla extract and salt (be careful on this step). If the mixture appears to be separating, stir in 2 tbsp of powdered sweetener until it comes back together. Using a microwave slowly melt your chocolate chips (do this in 20 - 30 second intervals). Once melted gentle spread over the cooled toffee. Sprinkle with your chopped nuts and refrigerate until set. Could you use Lakanto )monk fruit) sweetner in place of Swerve for this recipe? will it harden the same? Hi JulieL, sorry for the delay in responding. We run our blog and YouTube channel all while maintaining full time jobs, and tending to 3 children. We’ve never made this using Lakanto Monk Fruit Sweetener however, we don’t see why it wouldn’t work. I have mine in the fridge now but I don’t want to make the chocolate mix till I know it’s going to be ok. Mine still looks kind of separate even though I added the powdered erythritol. Any ideas for me?? The butter looks likes it’s all around the edges. Finger’s crossed. Hi Yolanda sorry for the delay in responding. We run our blog and YouTube channel juggling full time jobs and 3 kids. Just let it set the butter should harden but if not just pour the excess off. Just make sure you let it cool throughly before adding the chocolate layer. I am so grateful to find recipes that I can eat. Thank you. We are glad you are enjoying them. After watching the video and reading this recipe in print, I do not see where the “powdered” erythritol is added. Did I miss something? Love your videos and have just subscribed. Thanks for all the work that I know goes into all the recipes! I will come back and rate the recipe when I have tried it, but I know it will be 5 stars. Hi Marcella the sweetener is added at the 2:42 mark of the video. And is the erythritol Sweetener is listed as the first and 5th Ingredients although we totally misspelled Erythritol. In the video Sarah mentions “swerve” which is a brand but it is erythritol. Hope that helps.